Thanks for all your sweet comments about our upcoming kitchen remodel. Anticipating the changes I have been busy pinning kitchen ideas like crazy. 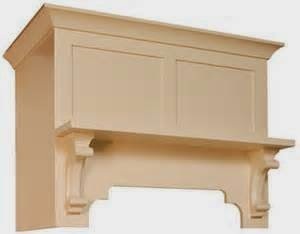 I think other than painting the cabinets I am most excited about moving the microwave from above stove and adding a pretty stove hood. 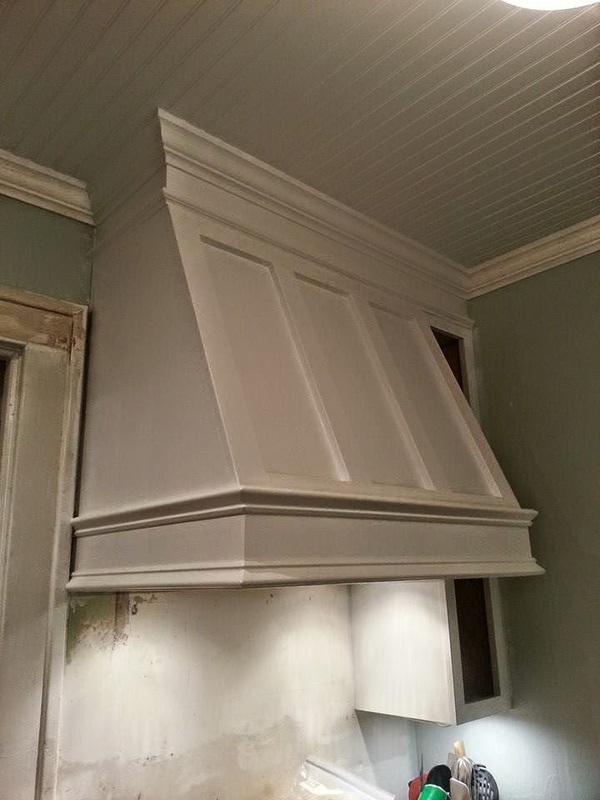 I am still trying to decide on the style hood that will work best with our small kitchen. Below are some of my options…. Whichever hood style we choose it must be something we can DIY and based on our skill level it must be super easy. Which one is your favorite? I would love your feedback. Thanks for dropping by and have a great weekend. They are all great options, Sherry! 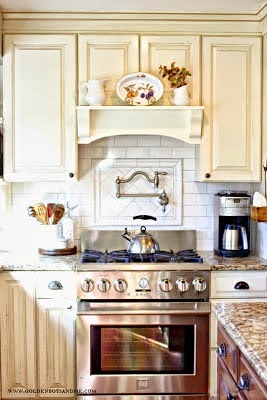 I wish I could do a stove hood like them here. I would do one with a shelf/mantel to it so I could put dishes and whatever on it. Unfortunately, we have our microwave over our stove, but I don't like the alternative of having it on the counter (which we did at our old house and I swore I would not do again!). They are all gorgeous, but I think I like #2 and #3 best. LOVE all these options, Sherry. Our microwave is above the stove and it causes a problem with having saucepans on the burners. I'd love to do this too! They are all exciting but #2 and #3 look the best to me, they do not dominate the room like the others. Being a small kitchen, the others would really stand out. You are going to have so much fun with this remodel!!!! I love all of your inspiration pics Sherry…several of them remind me of Yvonne's over at Stone Gable (which I love)…how exciting for you with this mini-makeover…I'm sure it will be fabulous! I love them all but I think the first one is my fave. I know which ever one you pick or create for yourself will be great. Good luck on this project. I like all of those options you're considering. I'm a big fan of the oversized wooden hood. I hope to have something nicer in my next house than what I have now which is a boring microwave. I'm no help Sherry…I love them all!! My personal favorite (although they are all great) is #2. I know that my husband and I could not make it ourselves, however, you and Steve are probably better DIY-ers. Does the tutorial for the last one look "do-able"? I really love them all but #3 gives you more cabinet space. 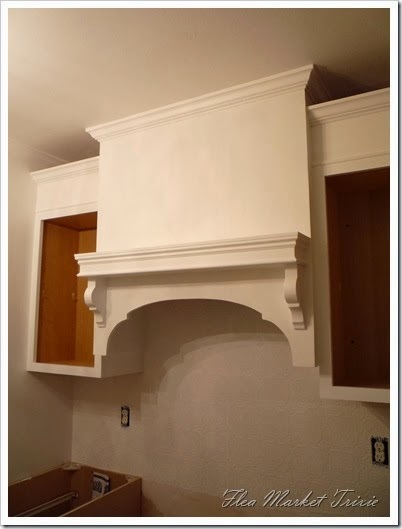 Great inspiration!…and I am sure sure the result will be beautiful….I remember that Pam from Simple Details did a wonderful DIY on her stove hood that may interest you. I love #2. FUN, FUN!!! I LOVE number 2! So pretty! Oh #3 is the best one!!! I love that. I never really thought of a custom hood before. This is interesting! I would love if you linked this up to Totally Terrific Tuesday that goes live tonight at 9pm CST! Hope to see you there! Dear Sherry – I want to do this in my kitchen too and, like you, it has to be within our skill set . . . which is beginner carpenter level! I like #1 & #2 because they don't protrude into the room and there is tall space above them to decorate. The others are both beautiful but for different types of kitchens. I can't wait to see which one you choose and the final result. I'm so anxious to change my kitchen but we have a long list of "to-do's" in front of it! I do love them all, but the last pic is my favorite. However, it does seem like it will be challenging to build. Good luck deciding, it's a difficult one! Hmm I love # 4 and I'm toying with having mine out of reclaimed wood for that beachy touch. Everything else white. But I can't wait to see what you do, I know it will be fabulous because you've got wonderful taste!